SVEC promotes exclusive career counseling through guidance lectures delivered by senior corporate personnel and by the just placed senior students of the college who can rightfully inspire the young minds. The college organizes campus interviews for final year students of all disciplines with industries and business houses of repute from all over India. Each of the students at SVEC undergo mock interviews inclusive of aptitude tests, group discussions, alongside test performance in Technical and HR interviews guided by professional trainers. To prepare students to face campus interviews and enhance their employability skills in their respective domain areas through expert lectures / workshops / seminars etc. Organize Industrial visits and In-Plant training. Arrange final semester projects for the students and internships. Career counseling by organizing guidance lectures by experts / senior corporate personnel in their respective domains and core areas. SVEC’s Dream Offer option gives all the goodies for already placed students with two additional placement opportunities in IT / ITES / Manufacturing / Product development etc. companies. The college has so far produced master minds hired by elite companies like WIPRO, Cognizant, Capgemini, CGI, ADP, CDK Global, Bosch, Hyundai (R &D), Hyundai Mobis, Redpine Signals, IBM, Infosys, Microsoft, Saint-Gobain, Schneider Electric, Samsung (R &D), Amazon, Embedur etc., through the “Dream Offer”. Creating social outreach, SVEC’s Placement Consortium helps engineering and science students of other colleges in Rayalaseema Region who have benefitted immensely by getting opportunities for elite corporate companies like WIPRO, TCS, Cognizant, Capgemini, CGI, Deloitte, GGK Tech, Tech Mahindra, Sonata Software, Mphasis, etc. who have selected deserving students through the recruitment drives conducted by SVEC consortium. M.Pharmacy / B.Pharmacy / M.Sc / B.Sc. / BCA / B.Com etc. students of other nearby colleges giving them an opportunity to get job offers. Dr. K. Delhi Babu, Ph.D.
To achieve maximum possible number of placements for students. To guide the students on interview techniques, group discussions and aptitude tests. To enlist Sree Vidyanikethan Engineering College , in the ‘Definite ‘ list of all top companies of India . Tata Consultancy Services has accredited SVEC as B grade Institution. 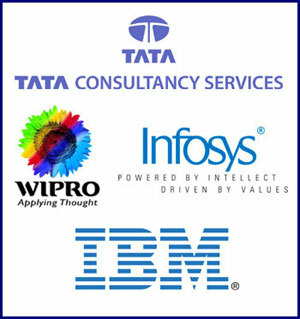 Students recruited by TCS every year are given in-house training as per Memorandum of Understanding to this effect. SVEC has signed an MoU with Infosys Technologies Ltd., Hyderabad, under Infosys Campus Connect Program to train non-IT students. Currently this programme is being organized successfully. SVEC has also signed an MoU with Wipro Technologies, IBM and CompIndia Infotech. Training the faculty and students using IBM Software. Orienting and guiding the faculty and students towards free product certification. IBM will provide its Technology products and services for training programs in Sree Vidyanikethan Engineering College worth more than Rs.2 crore through Worldwide Academic Initiative Portal.